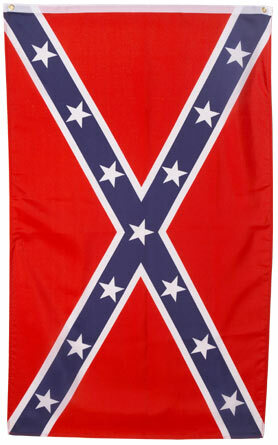 This brand new 3 X 5 Foot Confederate Flag is made of 100% strong polyester and comes with 2 brass metal grommets for easy hanging o­n your flag pole. These flags have the edges sewn to prevent tearing of the flag. 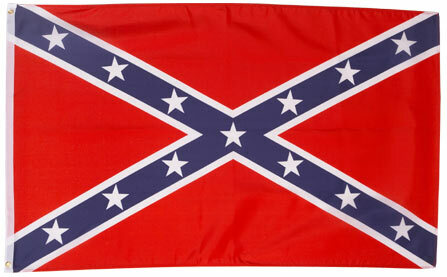 This flag is double printed, that means that it is printed from both sides, we do not sell single print flags since the color bleeds out in the sun after 6 months of use. Our flags are guaranteed to last for years without the need for replacement. 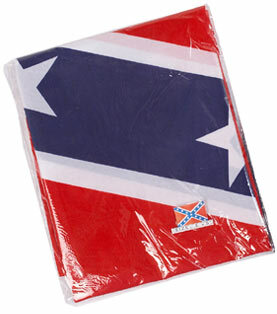 Each flag comes individually in it's own plastic bag & they are ideally packaged for resale since we are a wholesale manufacture of these flags. Order Today And We Ship Today!